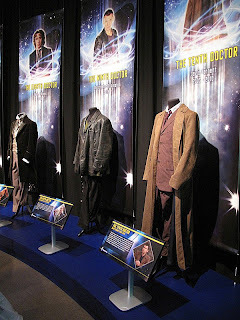 This weekend (Sunday 20th February) sees the official opening of the Doctor Who Experience exhibition at London’s Olympia. 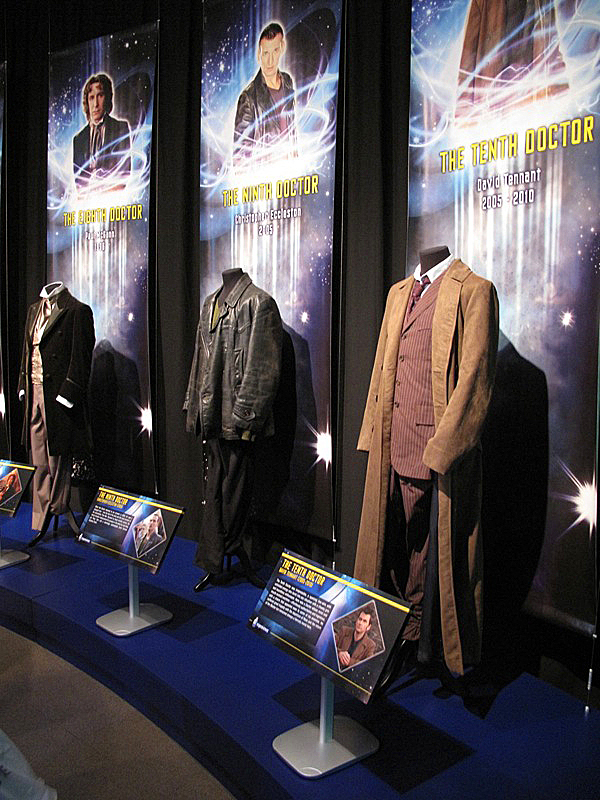 Amongst the displays is a definitive collection of costumes worn by The Doctor through his regeneration (see left and right). Some out of necessity are replicas, but many are original and screen-used. On Thursday I went to the first of the paid previews, following on from a couple of weeks of tester days to iron out teething troubles. While I was there I took a good set of photographs of all the costumes on show. 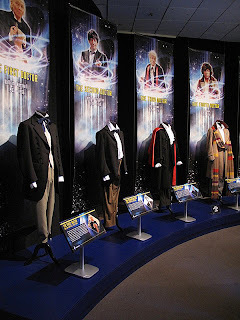 I have already written a Full Review of the exhibition itself, but here is a more targeted write-up focusing on the items of interest to a Fourth Doctor fan and giving them a more detailed look.